Addressing climate change will keep us occupied for the rest of this century. Government will play an important role, and will shape the policy environment, but their effectiveness will be hampered by politics and political cycles, and speed of implementation. There are also good reasons to develop stronger regional autonomy. Our governance structures in New Zealand are more centralised than many Western countries. This post from Local Food Northland identifies Swiss governance as a contrasting model worthy of emulation. The Taitokerau Climate Action Conference is intended as a vehicle to generate collective action and initiate development of research and implementation projects. Our strength is the breadth of our engagement and success depends on our ability to keep people connected and to resource our projects. Here are a set of draft principles for consideration. Central and local governance structures create compliance models. Ideally partnerships are motivated by aspiration. 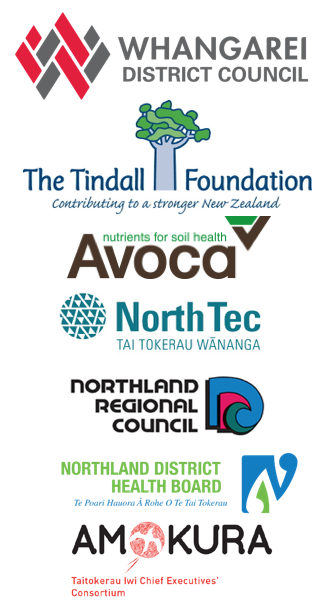 Northland can emulate other regions, such as Southland and create stronger linkages amongst diverse stakeholders. This includes respect for Mātauranga Māori as a worldview better equipped to deal with climate change that Western industrial models. Another important partnership is between commercial, social enterprise, NGO and public organisations. “Business as usual” just isn’t good enough anymore and not equipped to address the challenges we face. Otto Scharmer points to the emergence of a new societal model – the co-creative society where diverse interests work together – seeing and acting from the whole. This Local Food Northland page provides more detail. Otto’s 2018 book revisits the background behind this model and chapter one is available here. The intention of co-creation is to create value for all stakeholders wherever possible. This leads us to seek win-win solutions. These solutions consider economic, environmental and societal sustainability. Following on from co-creation, decision-making is ideally collaborative and close to the ground, integrating astronaut Ron Garan’s “orbital perspective” with Mahummad Yunus’s “worm’s eye view. Transparency is important so the motives behind decisions are clear to see. Any projects we propose should support the development of local capacity through their business models, engagement with local experts and practitioners and the development of local research capacity. To sustain the project what are our options? For example should a Incorporated Society be developed. Ideally organising efforts will be light and low cost – light in that Internet technology is used for communication and decision-making. Any organisation could be supported by a low annual fee subscription. This also provides a membership to be called on to support applications for funding. Are the principles outlined above relevant? What is superfluous and what is missing? How do we prioritise and assess projects? What is an appropriate structure? Is a subscription model suitable and what is an equitable fee structure? How do we engaged schools? How do we ensure vulnerable populations have a voice?